The brother of a close friend thinks I’m a jerk because I tried very hard to present evidence to him that acupuncture is simply magical thinking with no basis in science. I mean, of course, I am a jerk, but not for that reason. In attempting this, I was going against the very good advice of W.C. Fields (“Never wise up a chump”). I also pissed off a veterinary orthopedic surgeon and some Labrador rescue folks over the same issue last year (as we struggle to deal with our dog, Huxley’s hip dysplasia). Often when I tell people to 1.) Not take my word and 2.) Look at the evidence, I’m told in response, what’s the harm? If somebody wants to believe in Chinese energy healing from the ancient past, who is really hurt? 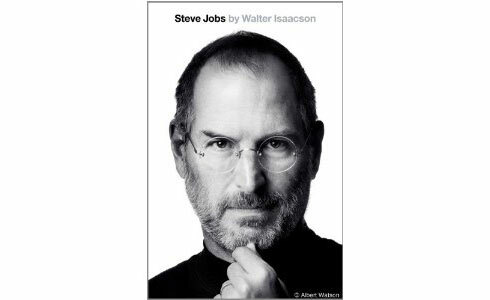 I just finished the excellent Walter Isaacson biography of Steve Jobs and it seems clear to me that Jobs died because he didn’t take his [Western] doctor’s advice. If he had promptly done what was medically recommended, he likely would’ve lived much longer and gone on to die of something else. All quotes are from Chapter 35. Instead, Jobs kept to his strict vegan diet, adding large quantities of fresh carrot and fruit juices.